Continuing with the high school state championship series brings us to Oklahoma today. There are six competitive classes for track and field here, and they group two of them together for one of three state meets. I’m going to start with classes A and 2A, the smallest schools, and their state meet venue. Their meet was held May 3rd and 4th at Carl Albert High School. You can see the results here. 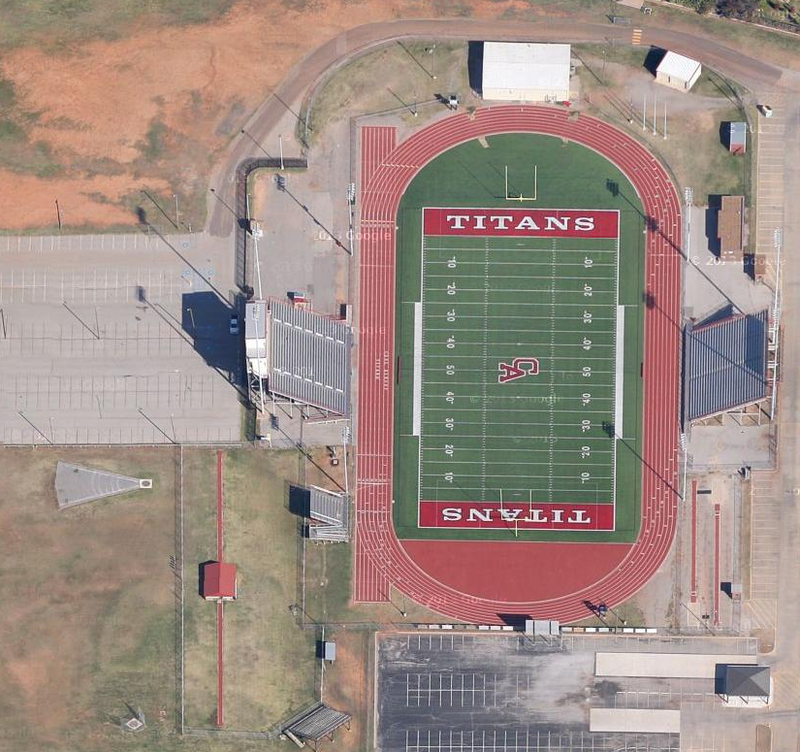 For a small school, this looks like a fantastic track and stadium.